Ramsey brothers are known for making the maximum number of horror films in India. In 1984, director duo Tulsi Ramsey and Shyam Ramsey made Purana Mandir, which became not only a box office blockbuster but also subsequently gained a cult status. Dr Gurdeep and J.K. Ahuja wrote the story. The film is about a devil worshipper called Samri, who was caught and decapitated by a king. His head was kept in a strong box inside the haveli (mansion) of the king and other part of the body was buried elsewhere. Suman, the great granddaughter of the king comes to her ancestral mansion with her friends on a picnic. Accidently they find the box and Devil Samri gets a chance to hypnotizes Sanga, the servant to bring the head near the body. Once it is done the demon is back again with his full powers to bring mayhem and death all around. The only way to stop him is the trident of the lord Shiva that was kept with the box. I have seen this film when I was a kid and it scared the hell out of me. Some scenes in the film were really terrific especially the one in which Sanga is carrying the head of Samri in a horse cart. His eyes are replaced with demonic white shades. He goes through thick forests looking super scary. In another scene when Suman came to live in the mansion, she found a portrait of the old king on the wall. While she looked at it, the king changes his gaze. The film has a very good background score and its signature horror tune is still respected as one of the best in Indian horrors. A small time actor who was unusually tall played the character of Samri and this trait of his personality helped him a lot. He looked like a ghoul on the screen with blank eyes and big teeth. Mohnish Bahl and Arti Gupta played the lead roles. 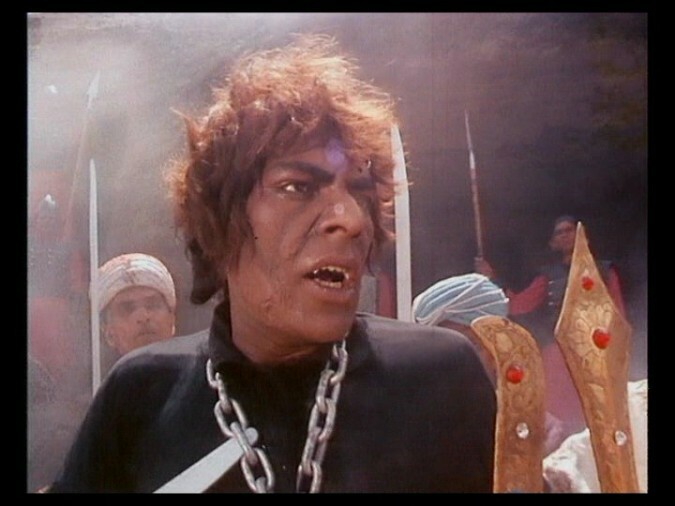 But the memorable part was of Puneet Issar, who played the role of their friend. He fights tough with the demon till his death and some of his dialogues were really catchy. One more thing, which deserves a mention, is a song of the film. The song Wo Beeten Din Yaad hain, was recorded in male and female voices both. The song was composed by Ajeet singh, who also sung the male version with Asha Bhonsle giving voice to the female version.